As you know we’re expecting our second child in July of this year and we thought it would be fun to take our four-year old son with us to a 3D ultrasound. Turns out that it wasn’t fun at all, in fact it may have scarred him for life! The image of the baby on the screen prompted our son to ask how the baby comes out. In our case the baby is coming out by c-section. We hadn’t planned a c-section with the first but a complication required that a c-section be performed which means that baby number 2 is also going to greet the world via c-section. If you’ve never tried to explain to a four-year old that a surgery is required to get a baby out – DON’T! Remember for a moment that our son is the child of two health care providers and he has a fairly extensive understanding of medical jargon and procedures. He’s not ready to enter the health care workforce but his medical vocabulary is advanced for his age simply due to dinner table conversations. When we explained that a surgery was required to get his brother out our son became upset and said “I don’t want you to have surgery Mommy”. We assured him that we have the best OB/GYN, surgical crew and OB nurses in the WORLD involved in the procedure but it didn’t seem to calm his nerves. Eventually the two of us left his Mommy in the Ultrasound Suite by herself. I changed the subject and I thought he’d just forget about it but a couple of days later it became apparent that he’d not forgotten when he said this “Momma, I’m sorry I wished for a baby brother” to which my wife replied, “Why?” – “Because I don’t want you to have surgery”. I didn’t have the heart to tell him that there will be other days in his life that he will think to himself “I’m sorry I ever wished for a brother”…. 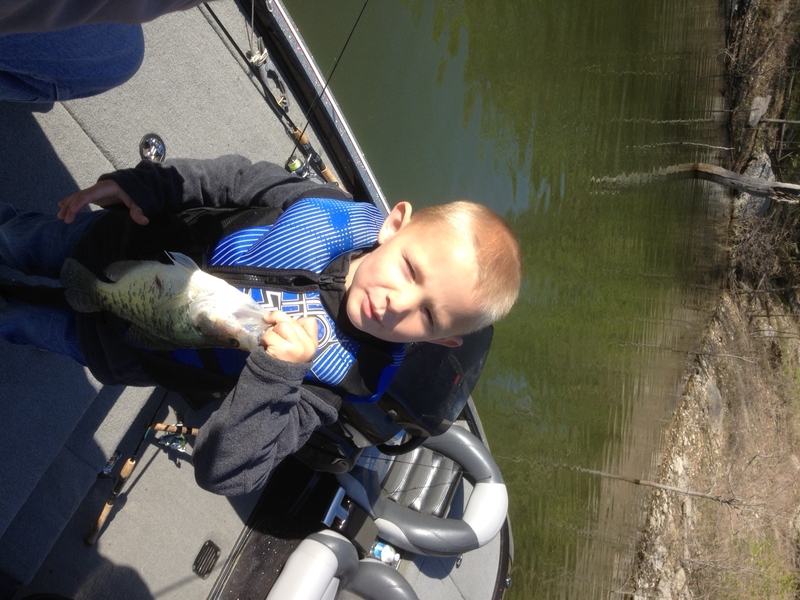 This spring marked a couple of “firsts” for my son. 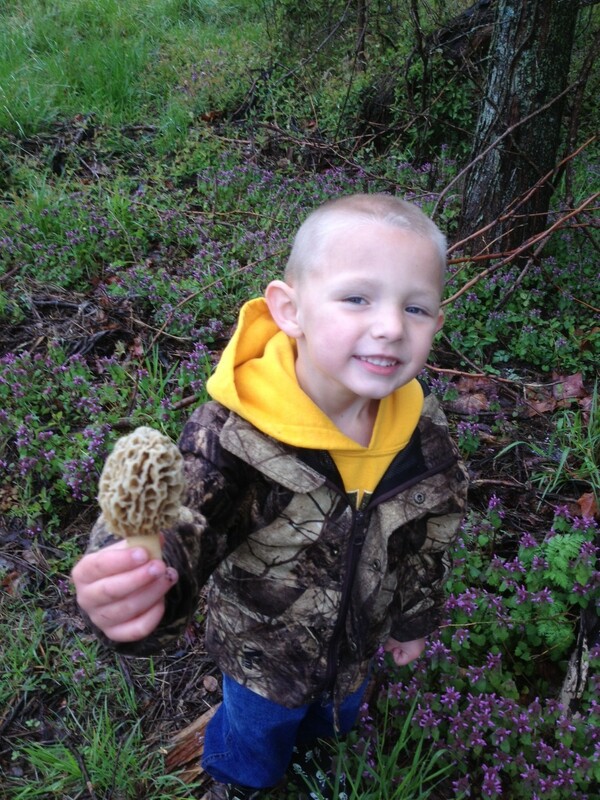 He found his first mushroom and he caught his first fish. Now he’s found mushrooms in the past when I’ve pointed them out and he’s reeled in fish after I’ve hooked them but this spring he found a mushroom on his own and hooked a fish without help. Here’s a couple of milestone pictures. I hope my son doesn’t accuse me of giving away his secret spot!